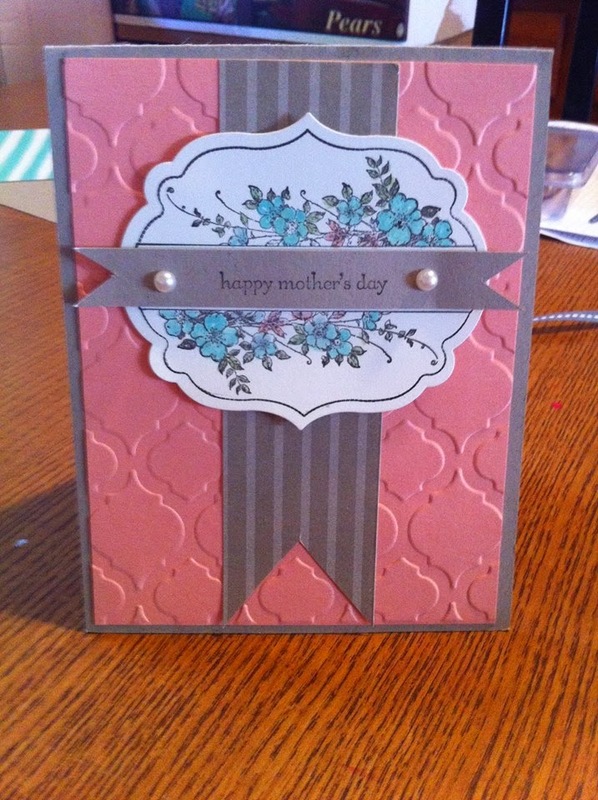 For club we made an ultra simple, but perfectly elegant, Mother's Day Card. I am sad that we are saying goodbye to the Apothecary Art Stamp set... (order before May 26th or it is gone forever).. but I am devastated we are losing Crisp Cantaloupe (and strawberry slush and pistachio pudding and coastal cabana). I love the mosaic background from the bigshot. The image is from Apothercary Art, and we used blender pens to color the flowers, then the big shot to cut out the shape, making a perfect image everytime. The paper is crumb cake... and of course, the pearls finish it off nicely. The sentiment is from teeny tiny wishes!